Rhode Island Governor Gina Raimondo sits with her husband, Andy, during inauguration ceremonies at the State House in Providence on Jan. 1. 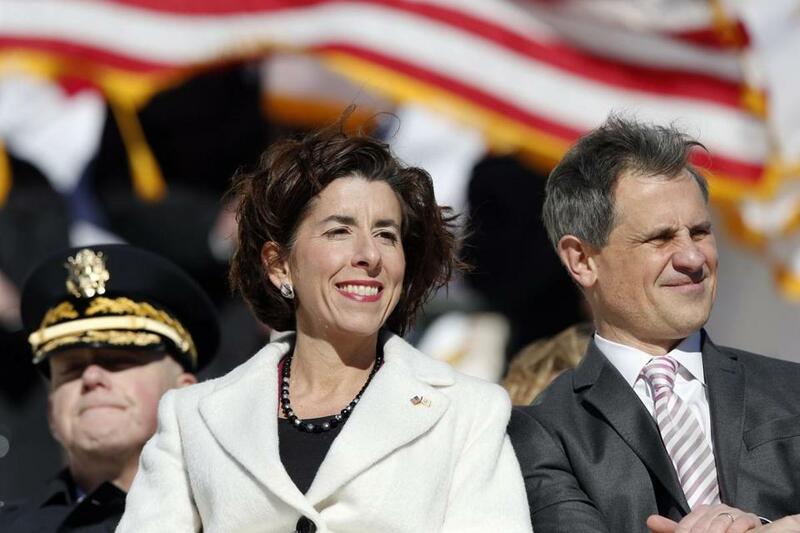 Bowing to pressure from nearby states that are moving to legalize marijuana, Rhode Island Governor Gina Raimondo, who has long remained reluctant about the issue, says she will formally propose in her budget this week that the Ocean State end cannabis prohibition. Newly inaugurated Connecticut Governor Ned Lamont has said that legalizing marijuana in his state will be among his “priorities” for the new legislative session. Unlike most other states that have moved to enact legalization, however, Raimondo wants Rhode Island to prohibit home cultivation of cannabis. She also wants to ban high potency forms of marijuana products, such as dabs. Servings of edibles could contain no more than 5 milligrams of THC under her plan. Rhode Island state Senator Josh Miller, who has sponsored legalization bills that allow home cultivation for the past several legislative sessions, said that he’s reserving judgement on the governor’s proposal pending its specific language, but that he is optimistic about enacting reform this year even if it means needing to amend the law later. Rhode Island’s attorney general and leaders of the state General Assembly are reacting with caution to Democratic Gov. Gina Raimondo’s proposal to legalize recreational marijuana. State Representative Scott Slater, a longtime champion of legalization legislation in the House, agreed that changes could be made by the time a bill gets to Raimondo’s desk for her signature. 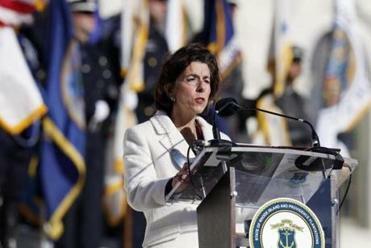 Raimondo said that she spoke with several other governors about marijuana policy at a conference last month. “It’s going to be the strongest regulatory framework in the country,” she said. Medical cannabis patients still would be allowed to grow their own medicine, he said. Currently, Washington State is the only one of the 10 legalized states that does not allow recreational marijuana consumers to grow their own product. Birenbaum, who WPRI12 reported would give a “detailed briefing” on the specifics of his boss’s plan on Monday, suggested that the state’s three existing medical cannabis dispensaries would continue serving patients but would also likely add adult-use sales. About 20 to 40 additional retail outlets would be licensed as well, subject to municipal approval. Sales are expected to begin early next year. In recent weeks, Raimondo and Rhode Island legislative leaders have begun to talk openly about the fact that legalization in neighboring states is increasing pressure to act. Rhode Island House Speaker Nicholas Mattiello has raised similar concerns. New York Governor Andrew Cuomo, who endorsed legalizing marijuana last month, has also characterized his own shift as being precipitated by the looming fall of prohibition in nearby states, such as New Jersey. In Rhode Island, Raimondo is expected to formally release details of her legalization plan in her proposed budget, which will be submitted to the legislature on Thursday, though she also may discuss the issue in her State of the State speech on Tuesday. It remains to be seen if lawmakers will agree with all of the finer points of the governor’s proposal.